Sisco, 7, and Diego, 10, were two of four Chihuahuas whose futures became uncertain when their owner ran into health problems. Two of the dogs have found homes, leaving the Champaign County Animal League searching for one or two homes for the remaining boys. Mango is sweet, playful, cuddly and waiting for you at PAWS Animal Shelter. Two-year-old Bingo likes children and other dogs and just may be right for you. Check him out at PAWS Animal Shelter. Adorable Mango is a beautiful cat who is waiting for someone to adopt her. She is a sweet girl who is looking for a good forever home. She would be the ideal companion for quiet evenings, curled up on the couch beside you. Mango may be just the friend you are looking for. She is playful, curious and affectionate. Mango is a sweet cat with a great personality to match! She would be the purr-fect pet! Stop by Paws Animal Shelter located at 1535 West US Highway 36, Urbana, Ohio 43078 or call Paws Animal Shelter at 937-653-6233. The Shelter hours are Tuesday-Friday 12-5 p.m., Saturday 12-4 p.m., Sunday and Monday-closed. You can email us at pawsurbana@hotmail.com. Visit us at www.facebook.com/paws.urbana. There are many wonderful cats, adorable kittens and fun-loving dogs at the shelter waiting for good homes. Paws Animal Shelter needs donations of Purina Kitten Chow, Purina Complete Cat Chow, Purina Dog Chow and Purina Puppy Chow. We also could use donations of bleach, laundry detergent, 39 gallon trash bags and clumping cat litter. Bingo is a 2-year-old Cattle Dog/Heeler mix. He is a sweet boy, good with kids and other dogs. 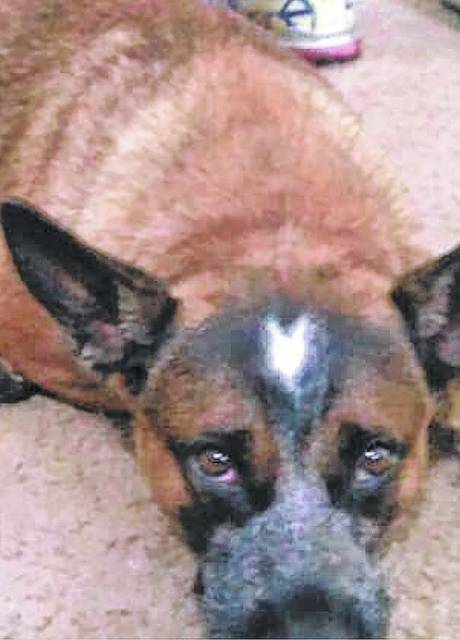 Bingo was an owner release because he did not see eye with a family member. Bingo has been very good here with us. He gets along with the staff and volunteers very well. Bingo loves to play, take walks and curl up in your lap. Please consider this sweet boy as your new family. Please stop at PAWS in Urbana and meet this special boy. The Champaign County Animal Welfare League (CCAWL) rescued these two little Chihuahua boys when their owner encountered some health issues. Actually, there were originally four Chihuahuas in this pack and the largest one and the smallest one have been adopted. 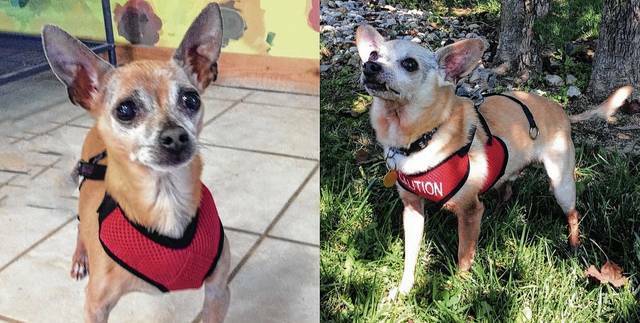 These two, Sisco – age 7 and Diego – age 10, are still looking for their forever homes. They are typical Chihuahuas in that they are very alert and will let you know when someone comes to the door. However, once they see you are where you are supposed to be, all they want to do is cuddle with you. They are loving, little guys who want to occupy your lap and your heart. Although they have lived most of their lives together, they are not bonded and can go to different homes. Diego and Sisco are house-trained, love people and children and are indifferent to cats. Both of these fellows have been neutered and are heart-worm negative. As with all CCAWL pets, they have been micro-chipped and come with their 2017 Dog License. They are all fully vaccinated, wormed, treated with heart worm prevention and flea prevention. We welcome you to visit us at 3858 state Route 56, Mechanicsburg. To view a listing of all our available pets, please visit petfinder.com and/or adoptapet.com. Also “like” us on Facebook to see our dogs even before they are ready for adoption. Our adoption fee is $150.00 and payable only with cash or check. We are open every day except Tuesday and Sunday and are closed the first Saturday of each month for training. Please call us at 937-834-5236 for our exact hours. Champaign County Animal Welfare League provides a low-cost spay and neuter clinic for public cats and dogs. Please call us for prices and available dates. All appointments must be pre-payed at the time of scheduling. If you are wanting to become a part of this exciting organization, we invite you to stop by and fill out a volunteer application. We are always looking for caring, dedicated individuals who love animals and want to make a difference. Your donations of harnesses, collars, leashes, hand soap, dryer sheets and laundry soap are always appreciated. https://www.burgtelegram.com/wp-content/uploads/sites/17/2017/07/web1_2017-Diego-and-Sisco-for-paper.jpgSisco, 7, and Diego, 10, were two of four Chihuahuas whose futures became uncertain when their owner ran into health problems. Two of the dogs have found homes, leaving the Champaign County Animal League searching for one or two homes for the remaining boys. 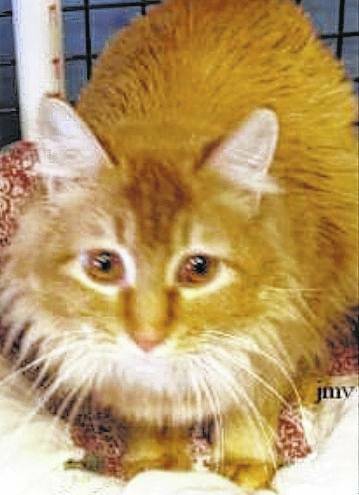 https://www.burgtelegram.com/wp-content/uploads/sites/17/2017/07/web1_IMG_0051.jpgMango is sweet, playful, cuddly and waiting for you at PAWS Animal Shelter. https://www.burgtelegram.com/wp-content/uploads/sites/17/2017/07/web1_IMG_9988.jpgTwo-year-old Bingo likes children and other dogs and just may be right for you. Check him out at PAWS Animal Shelter.